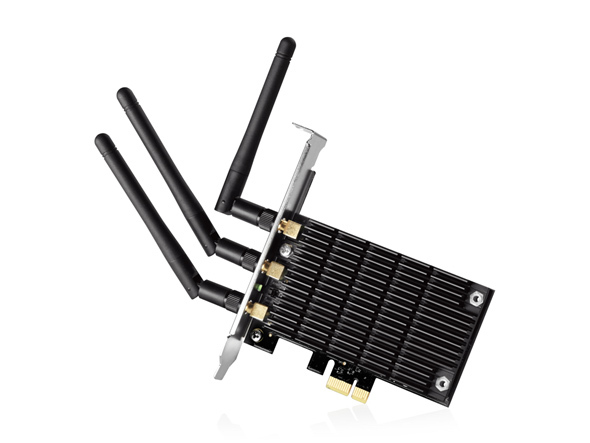 TP-LINK's Archer T9E supports the next generation Wi-Fi standard - IEEE 802.11ac, offering transfer rates that are 3 times faster than wireless N speeds. 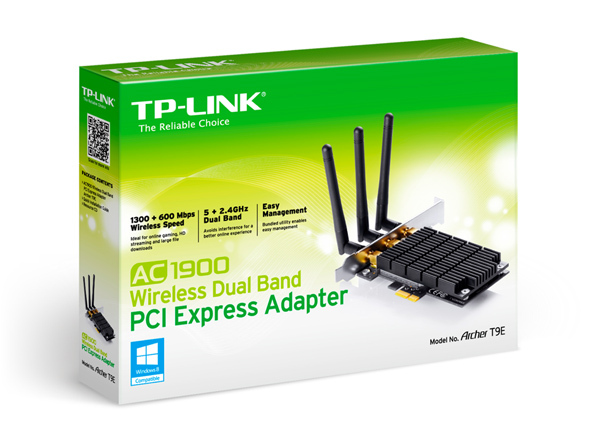 Easily upgrade your desktop system by simply slotting the Wi-Fi adapter into an available PCI-E slot. 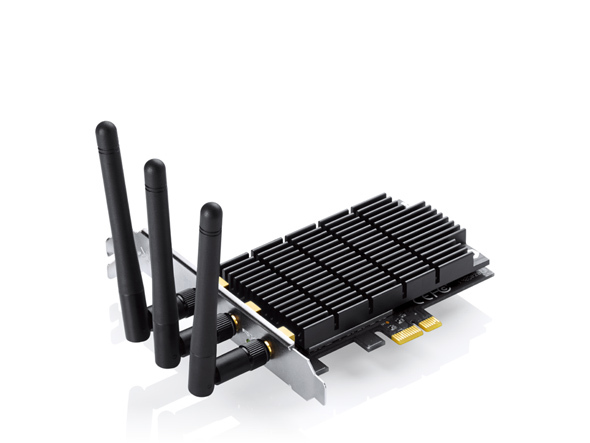 The Archer T9E provides high-speed Wi-Fi of up to 1300Mbps over 5GHz, perfect for HD video streaming and lag-free online gaming. 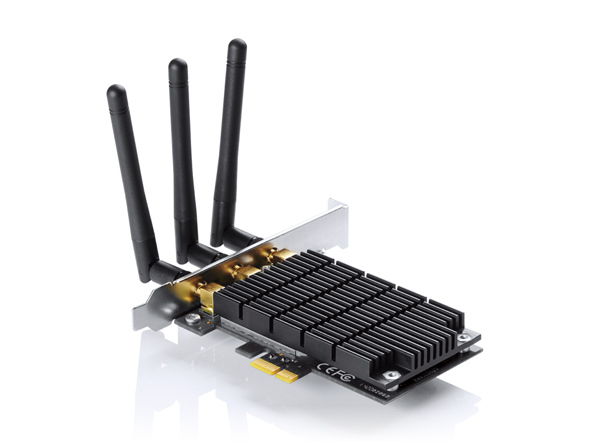 Additionally, the 2.4GHz 600Mbps Wi-Fi band is ideal for standard network/internet usage such as web surfing. enhancing the reliability and stability of wireless connections. The Heat Sink helps to dissipate heat generated by the adapter, which in turn increases performance and improves stability. What’s more, lower temperatures ensure an increased adapter lifespan. External antennas for easy alignment to achieve the best signal. connection is safe from intruders. *Maximum wireless transmission rates are the physical rates derived from IEEE Standard 802.11 specifications. Range and coverage specifications are based upon test results under normal usage conditions. Actual wireless transmission rate and wireless coverage are not guaranteed, and will vary as a result of 1) environmental factors, including building materials, physical objects and obstacles, 2) network conditions, including local interference, volume and density of traffic, product location, network complexity, and network overhead and 3) client limitations, including rated performance, location, connection quality, and client condition.